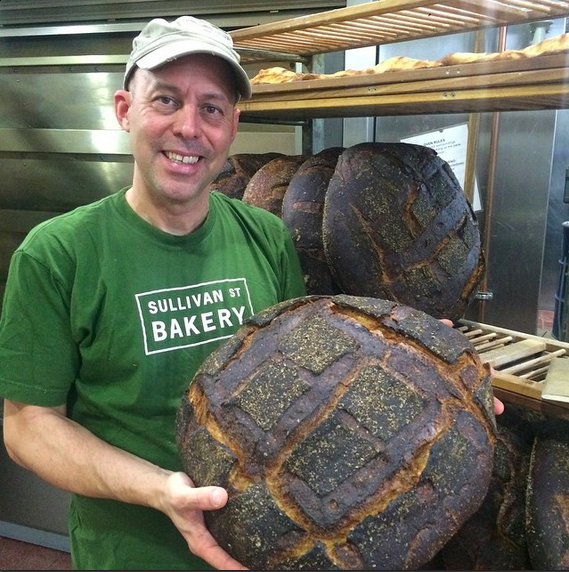 Inspired by Italian bakers and bakeries, Sullivan Street Bakery was founded in 1994 in New York City by Jim Lahey. Known for its bread, Roman-style pizzas, and pastries, Sullivan Street Bakery has been a staple for 20 years. Jim Lahey's innovative no-knead bread recipe has ignited a worldwide home-baking revolution. In addition, in 2015 Jim was the winner of the James Beard Award for Outstanding Baker.